Tom Holliman reviews two new podcasts. The Annals of Improbable Research, the magazine dedicated to research that ‘makes people laugh and then think’, has recently launched a weekly podcast, ‘Improbable Research’, which is sure to be a massive hit with anyone interested in the quirky and obscure side of science. Presenter Marc Abrahams’ dead-pan style of reporting is a perfect comedic match for truly improbable research, well suited to discussing papers such as Kees Moeliker’s ‘The first case of homosexual necrophilia in the mallard duck’. However, don’t let this comedy value fool you; ‘Improbable Research’ is a scientific podcast, and the methodology of studies such as Greenway and Garcia’s ‘Designing and testing an improved packaging for large hollow chocolate bunnies’ is treated to rigorous examination, as is an investigation into the economic benefits of Kurt Cobain’s suicide (the tactfully titled paper ‘Artists’ suicides as a public good’), with joyfully entertaining results. 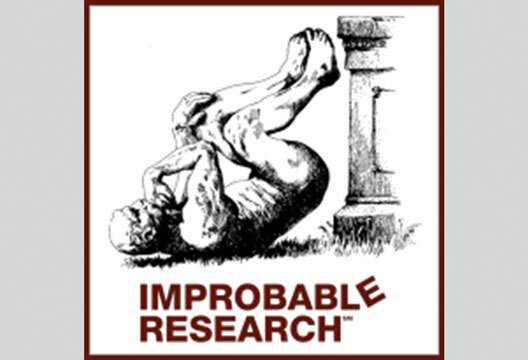 ‘Improbable Research’ takes the listener on a hilarious adventure through esoteric, absurd and at times questionable research, and leaves them amused, bemused, and eager for more. Compelling in a rather different way is ‘The Mind Readers’, from Mosaic Science, a podcast produced by mosaicscience.com. ‘The Mind Readers’ is an audio version of an article published on the website by Roger Highfield, which details the pioneering work of Adrian Owen, Steven Laureys and Nicholas Schiff. These three researchers have made startling discoveries in their work with patients trapped in ‘vegetative states’, which have revolutionised the way such ‘disorders of consciousness’ are approached. Summarising the 49-minute episode, and the ground-breaking findings of the research, is beyond the scope of this review; the podcast itself summarises decades of work. Through ingenious applications of brain-imaging techniques, researchers have refuted the assumption that those in vegetative states can have no conscious awareness. The sometimes complex neuroscience of this research is well explained, and anecdotes from patients ensure the human side of the issue is not neglected; a female patient’s description of being trapped in such a state, suffering an unquenchable thirst, inability to communicate, and failed attempts at suicide, for example, strikes a deep emotional chord. In this way ‘The Mind Readers’ flawlessly marries clearly explained science and humane sensitivity; scientific journalism at its best. - Reviewed by Tom Holliman who is a student at Anglia Ruskin University. Explore more podcasts in psychology, including our own Research Digest podcast.